New Orleans is a truly amazing city! 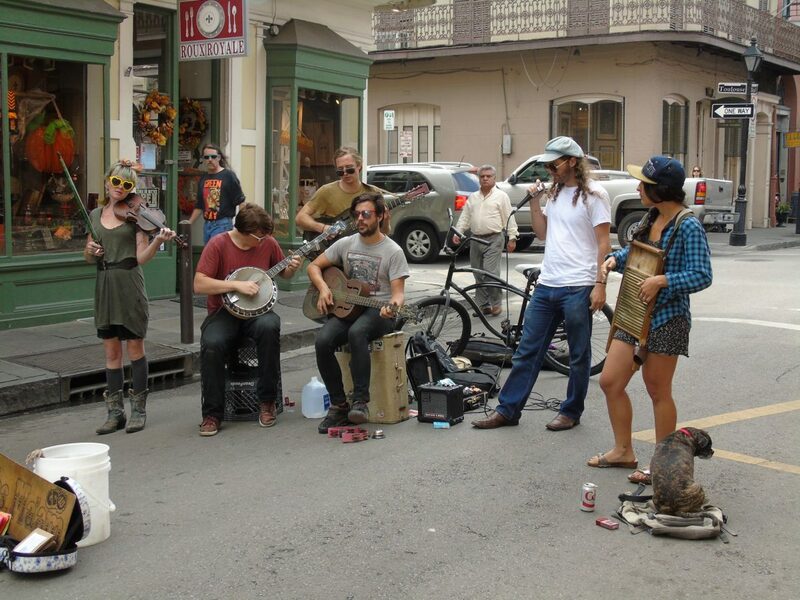 It is incredibly diverse and eclectic offering a wide range of activities for every interest from historical landmarks to new age vape shops and haunted tours to shopping for antiques or listening to live music in any one of the many bars or on the street corners and dancing in the street to getting married and parading down Bourbon St. There is such a variety of tours available you may not be able to decide between going on one or multiple tours! To give you an idea of the variety available, there are ghost tours, grave yard tours, historic haunted tours, plantation tours, whiskey tours, haunted bar tours, swamp tours, trolley tours, bicycle tours, foodie tours just to name a few! Three tours that we went on that are definitely worth mentioning are Dark Crescent Tours Plunder & Booty Tour, Haunted History Tours and Jean LaFitte Swamp and Airboat Tours. Dark Crescent Tours offers a plunder & booty tour which is a drinking tour that is both very informative and fun. On this tour we walked (yes, this is a walking tour) to an assortment of bars and historic buildings and heard engaging and mysterious tales about the pirates, scallywags, thugs and call-girls that lived in New Orleans – some of which are rumored to haunt their old hang-outs. Our tour guide for this 2 1/2 hour tour was a very animated and entertaining woman by the name of Angel who whole-heartedly embraced her role as a pirate, dressed in pirate garb complete with the 3-point hat, cape and fingerless gloves and, of course, plenty of arghs and aye’s mixed into the stories of piracy, plunder and even love. This tour includes 1 drink from each of the 5 bars that are visited during the evening. Haunted History Tours is a locally owned and operated tour company that offers a wide range of tours from garden district, to voodoo, vampire, and ghost tours. They also offer a special tour, 5 in 1 ghost and mystery tour, for those who only have time for one tour but want to get a taste of several tours. Our tour guide for the 5 in 1 was the very knowledgeable, friendly and captivating Natalie who delighted us with tales of mystery, intrigue and murder in the French Quarter from the reins of both the French and the Spanish rulers. Natalie regaled us with many stories, one of the most mysterious was of the Sultans Palace where there was a massive massacre of all the inhabitants of the house, every man, woman and child was hacked up and their body parts strewn through every room of the house. It was a very bloody and gory scene, but who did it and why has never been discovered and remains a mystery to this very day. Jean LaFitte Swamp & Airboat Tours will take you on an almost 2 hour adventure in Louisiana’s murky bayou’s meandering through floating islands of marsh grass and flowers in yellows and blues. As the trained guides expertly maneuver the boats smoothly through the ever-moving and changing channels of the bayou they will tell you about the wildlife that lives in the swampy bayou. They will point out the alligators as they sun themselves on the grass or as they glide through the water looking for a morsel to snack on. They will point out the egrets as they are gingerly walking over the floating islands and shallows looking for fish. The airboat ride was surprisingly smooth and gentle as it glided over the water. Have a glass of absinthe at the Pirate’s Alley Cafe at 622 Pirate’s Alley and learn how this black liquor-ish flavored anise and fennel distilled spirit drink is made by dripping ice-cold water over a sugar cube to create the swirled creamed look while you hear about the history of this illustrious drink that was favored by many famous artists and dates back to the 1800’s. Surprisingly, this drink really did help settle our queasy stomach from too much imbibing the night before! After you have your drink and lesson in absinthe, meander next door to the Faulkner Bookstore and check out their selection of poetry, unusual books and newly published books. New Orleans has some of the best tasting oysters that I have ever tasted! You can get them on the half-shell, fresh and clean with a bit of lemon juice or tobacco sauce, stuffed with fresh crab, breading and a buttery garlic topping, or Rockefeller with parmesan and garlic baked to perfection. My favorite was a slightly smoky, mouth-watering grilled oyster from The Royal House Oyster Bar. Just talking about it makes my mouth water! Only in New Orleans have I seen or even heard of a bone shooter! Of course, if most people cringe, I am going to try it! Go to Meauxbar on Rampart St. First of all, this is Not listed on their menu, you have to request it. Order the savory escargot that is served in the bone as an appetizer, this is not the shooter but part of the shooter, you have to tell the waiter that you want to do the shooter when you order the appetizer.. Don’t let the server get your bone (slight pun) because the waiter will bring a shot of absinthe that be poured through the bone to your mouth. The Hotel Monteleone has a fun and entertaining feature in it called the Carousel Bar. The bar revolves in a circle, no, it is not like a carnival ride, it is very slow so you barely feel the movement, unless of course you are already toasted then you will feel the room move if you are sitting in a stationary chair! 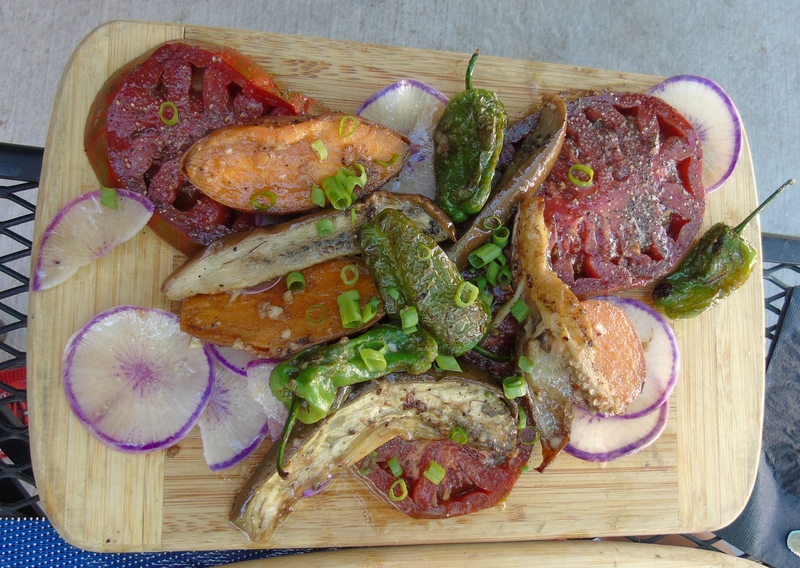 For all the foodies out there you have got to order the meatery board and the covey rise vegetables at Troup’s Meatery! They offer a delicious selection of patés, cracklins, sausage, boudin balls, cured sliced meats, seasonal vegetables and heirloom tomatoes grilled in a bacon vinaigrette. Truly unique and flavorful! LaFitte’s Blacksmith Shop is reputed to be the hang out of the pirate Jean Lafitte in the late 1700’s, yes, some think he may still be there from time to time, the building its self is thought to be the oldest structure that is used as a bar in the United States! This is a hopping place to be in the evenings for a drink and the patrons spill into the street as is common for nearly every establishment in New Orleans! There is so much to see and do in New Orleans that no matter what is on your list to do, there will always be more to see and do! There is no way to do even half of the activities available in one weekend. So, my advise to you…. just plan right now to make a return trip or two! You will be glad you did! Pingback: The “It” Place to hang out in Ft. Worth | Traveling Donna-What have we done now!! Pingback: Win this great travel app for your ipad or iphone! | Traveling Donna-What have we done now!! It was so much fun! There was so much that we did not get to do we will have to go back many times! I would recommend for any one to go!